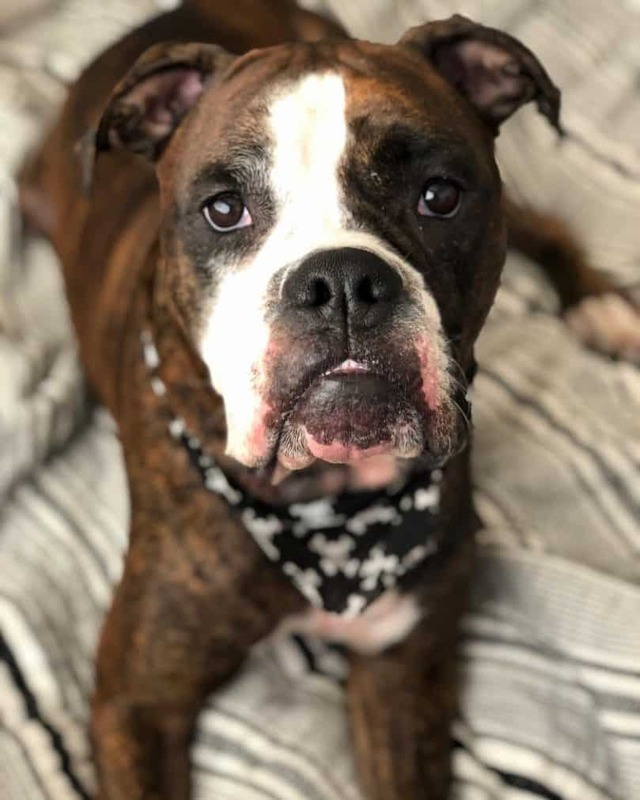 The Boxer Bulldog mix may look intimidating because of its large, muscular body and square-looking head, but this hybrid is a smart and affectionate family dog who is sure to win your heart. In this article, we’ll help you get to know this crossbreed and see if it matches what you’ve been looking for in a family pet. 1. What is a Boxer Bulldog? 2. What is the Boxer Bulldog’s temperament? 3. What does a Boxer Bulldog mix look like? 4. How difficult is it to take care of a Bulloxer? 5. 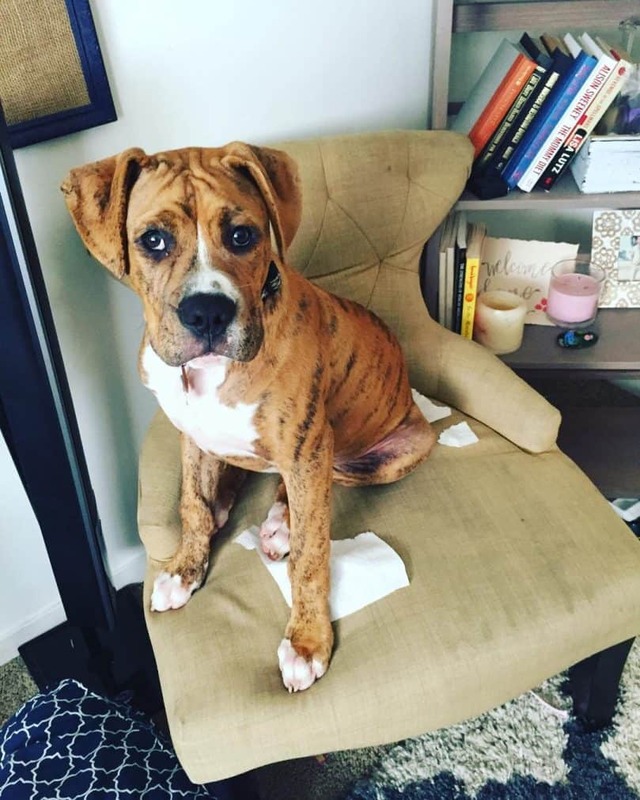 How do I train a Boxer Bulldog mix? 6. How long do Boxer Bulldogs live? 7. How much is a Boxer Bulldog mix? Is the Boxer Bulldog mix the best pet for your family? A Boxer Bulldog or a Bulloxer is a cross between an American Bulldog and a Boxer. Boxer Bulldogs are different from the Valley Bulldog, which is a cross between a Boxer and an English Bulldog. The American Bulldog Boxer mix’s parent breeds were used for dog fighting in 19th-century Europe, giving them the reputation of strong, courageous, and aggressive dogs. But, as dog fighting ceased over the years, the American Bulldog and the Boxer developed into calm and affectionate family pets. The Boxer Bulldog mix has none of the aggression its parent breeds used to have. Bulldog Boxer crosses make excellent watch dogs as they are naturally alert, swift, and protective of their masters. This American Bulldog Boxer breed is a high-energy, curious dog that needs to always have something to do. Otherwise, they will get destructive when bored. Bulldog Boxer mixes are intelligent and athletic, and they love to play and be around their human family. These hybrids can suffer from separation anxiety when they part from their owner for too long. It’s best if you keep them busy with toys when you are out of the house. Unlike with other crossbreeds, it’s easier to predict how these pups would look because the Boxer and the American Bulldog have similarities in their body structure and facial features. The Bulldog Boxer mix is a large dog, with a muscular body, a wide chest, and a medium-sized tail. A full grown Bulloxer weighs around 70 to 90 pounds (31 to 40 kg) and is about 22 to 27 inches (56 to 69 cm) in height. American Bulldog crossbreeds tend to share the same stocky body. Check out the American Bulldog Pitbull Mix, for instance. Many Boxer Bulldog mixes have the signature Boxer look we all love, with a square-shaped jaw, a short muzzle, and short floppy ears. Like its parent breeds, the American Bulldog Boxer mix has a short coat that may be white, light brown, brindle, or fawn. You don’t have to worry about shedding with the Bulldog Boxer mix, as this cross sheds little to no fur. Caring for this crossbreed is easy. Once-a-week brushing is enough to keep the Bulldog Boxer mix’s coat looking good. Brushing the Boxer Bulldog’s teeth every other day should help it maintain good dental health. Checking and cleaning its ears once a week will also keep ear infections at bay. Early socialization and obedience training are necessary for Boxer Bulldog puppies to grow up as happy and well-behaved dogs. Socialization prevents them from becoming overprotective and aggressive towards other people and pets. They are intelligent and eager to please their owners. making them easy to train. They look for the “leader of the pack” before they follow commands. Clicker training works best for this breed. Your dog’s overall health would depend on a good diet, sufficient exercise, and trips to the vet when needed. The average Boxer Bulldog mix lifespan is 10 to 15 years. An adult Bulldog Boxer needs 3 to 4 cups of good-quality dry dog food, divided into three evenly spaced meals daily. The best dog food for Boxers may be ideal for the Boxer Bulldog’s diet as well. This pooch need to be active as they can be overweight. Bulloxers need 30 to 45 minutes a day of play to maintain a good weight and maintain their muscular build. 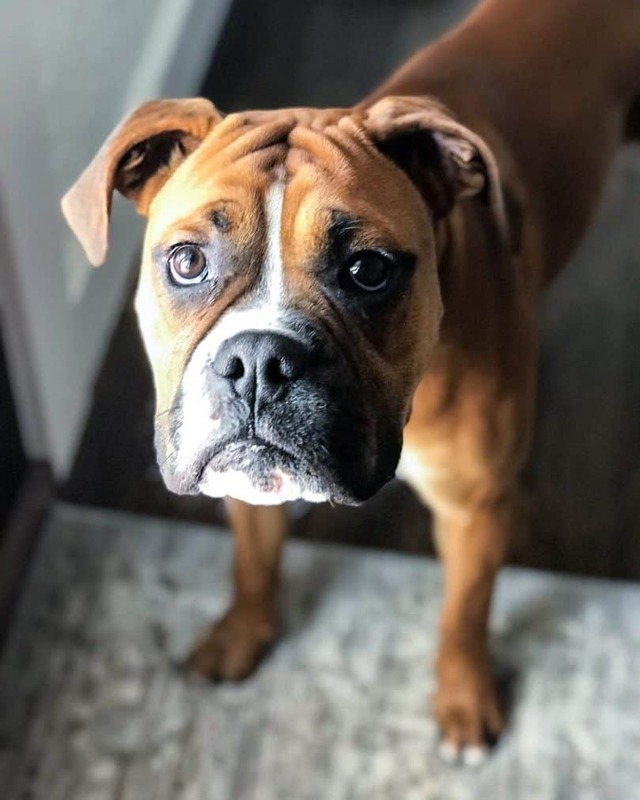 Their short muzzles and short hair make Boxer Bulldog mixes uncomfortable in cold weather, and they may also suffer from skin diseases and joint problems. A Boxer Bulldog puppy costs around $900 to $1000. Given the price of Boxer Bulldog puppies, it is important to find a good breeder should you intend to buy your own pup. You can also get in touch with local rescue shelters and check if they have a Boxer Bulldog mix for adoption. This breed may be low-maintenance in grooming, but they need to be given proper attention and time in training and in daily exercise. Boxer Bulldog mix puppies are also not cheap. If you have the time to give the Bulldog Boxer mix the exercise it needs, this crossbreed will make for an excellent family dog. Have experience in owning a Bulloxer? Tell us about it in the comments. The Boxerdoodle (Boxer Poodle Mix) Is A Real Thing: Is Your Mind Blown?